If you’re looking for the best Tulsa weed control company in all of Oklahoma, you need to take the time and give us a call at 918-640-6405. The owners of the company Jamie Nix in Josh Mathias have grown up in Oklahoma and want to do everything they can to make Tulsa it better city. They would love if every house and every company had the most gorgeous lawn and they didn’t have to pay an arm and a leg to have that done. They feel that everybody deserves the chance to have a beautiful lawn. Having amazing service out of a long company should not be just saved for the rich. Josh Mathias as his main focus on our Greenleaf customers that they would receive the best lawn care every single time that we visit your house. Josh is married and has one beautiful child and is actually expecting one on the way. You may have heard through the grapevine but Josh is known around the area as the fastest weed whacker in the South. He has amazing knowledge and skills in the turf enhancement industry that he has helped make Greenleaf Lawn Care the top Tulsa weed control company in the state. Jamie Nix graduated from the University of Tulsa and has an amazing passion to help people make their lawns beautiful. He is engaged to a beautiful woman is very devoted to studying his craft of lawn enhancement. His major goal that he has is to bring the top quality of service to every home and lawn in the Tulsa area. With Jamie’s help their company has been able to please companies such as Mathis Brothers, outback steakhouse and so many more. Both Josh and Jamie have their main goal as pleasing the customer and wanting them to always come back. The main reason why customers keep returning to Greenleaf is because we offer so many different types of services that can fulfill all of their needs. We not only do Tulsa weed control but we offer grass fertilization, flower bed maintenance, the free removal, small tree removal and planting, spring cleanups and grass scalping, weekly lawn maintenance, hedge trimming and shaping, sod installation, small shrub removal and planting and so many more services. 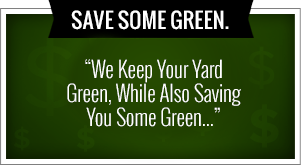 We also offer fertilizing rates as low as $35 per application. As you will find out our prices are highly competitive and we do in amazing job. All the workers hold the title of turf enhancement engineers because they have spent the time to become fully certified spray technicians in Tulsa. This means that they have been certified by the Oklahoma Department of agriculture and are totally equipped with the correct licenses that will bring you the best we control. You can easily notice our trucks because they are the ones with the Greenleaf logo and license numbers on it. Our turf enhancement engineers are fully equipped with the correct chemicals and are always wearing the proper attire for safety and state regulations. The owners of our company Jamie Nix and Josh Mathias have been in the Tulsa weed control industry since 1998. They are both native to Tulsa and want to everything they can to make Tulsa a more beautiful place. They found the best way to do that is to be the best lawn maintenance team and all the state. By doing this they have won the service of many large companies such as Mathis Brothers, Outback Steakhouse and so many more. If you want to join our customer family than don’t hesitate to call us at 918-640-6405. We love to have you join our family. One way that Jamie and Josh are giving back to the community is they have instated a program called “Cut for the Kids” at their company. This program is really helping the local schools because for each new client that signs up for his service they will donate five dollars to the school of their choice. This really adds up because of the number of clients that have come to us for help. Our goal is to raise $100,000 for the local schools so they are able to supplement what they are not able to buy. We all know that schooling is not funded the way it should be so we that this to be a great way to give back to the community. You may not expect it but Greenleaf has one of the best holiday lighting teams around. We can do everything from designing how he likes look, to installing them and removing them and even storing them over the summer. Not good for your lights to be up in a warm attic for a long time so we keep them safe for you and they will last longer. We do both commercial and residential light installation. We would rather we put up your lights than have you climb up a ladder and onto your roof to try and put lights on to your house. We have been doing this for a long time and know exactly how to do it and would love to keep you safe. We offer many other services as well. Some of them include Tulsa weed control, lawn fertilization, weekly lawn maintenance, hedge trimming and shaping, sod installation, flower bed maintenance, leaf removal, small tree removal and planting, small shrub removal and planting and so many more. Remember, you can always call us 24 hours a day seven days a week for information but also to get a free estimate for what you want to get done. Having a beautiful lawn of your own is just a phone call away. We don’t just send anybody over to your house all of our team members are turf enhancement engineers. They have gone through rigorous testing and have been certified by the Oklahoma Department of agriculture. 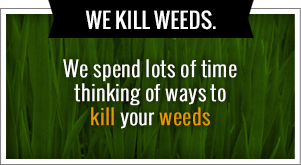 You will be guaranteed that the best Tulsa weed control specialists will be handling your lawn. They will arise in the correct attire with the best chemicals on the market and they will be complying with all of the state regulations. We know you will be happy with what you will receive from us and are excited to have you join our family.